With a population of over a billion, India is facing the challenges of overpopulation is making the country prone to natural disasters. focus of this chapter is the Indian Tsunami which occurred on 26th December 2004 in the Cuddalore district of State of Tamil Nadu and caused massive loss of life and devastation of property. 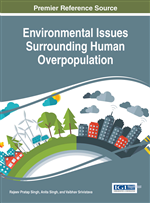 From this case study it is evident that the first priority for India is to control its population growth so that the environment is protected from the adverse effects of overexploitation. Next is to establish a warning system which covers both its coasts on the east and west side and can readily alert the inhabitants with regard to a potential tsunami. Community based tsunami education, proper consideration to local culture during recovery and resettlement of communities, addressing basic issue of earthquake safety in buildings and establishment of a buffer zone on coast, all these measures would help in minimizing the impact of tsunami waves. Over the last few decades India’s population has grown exponentially and reached over a billion (1.25 billion) being the second most populous country in the world just behind China. It is expected to overtake China by 2050 (Shubhi, 2014). Such a rapidly growing population exerts enormous pressure on the resources as it requires food, cloth, shelter among other basic needs. In addition to overcrowding in cities and towns this population aggravates pollution of water, air and soil. In order to feed this rapidly growing population, provide habitable spaces, recreational areas, meeting the demands of wood there is indiscriminate destruction of pristine and environmentally sensitive areas such as coasts, hills, river’s flood plains, forests etc. Such a severe environmental degradation makes the nation prone to natural disasters in form of floods, droughts, cyclones, storms, tsunami etc. Across the globe natural disasters have been on a rise in recent decades. Particularly the Asia Pacific region has experienced the most damaging disasters. As per the emergency database (EM-DAT) countries in the region such as Bangladesh, China, India, Myanmar, Philippines and Vietnam are more prone to this risk. According to an ADB (Asian Development Bank) study population density is a significant factor which increases hydro-meteorological natural disasters (floods, storms). According to a regression analysis within a model of disaster risk determination almost a one per cent increase in population density is associated with a 1.2 per cent to 1.8 per cent increase in the frequency of intense hydro-meteorological disasters. Hence, densely populated nations, like India, are more likely to incur over 100 deaths or have over 1,000 people affected when disaster hits their shore (Thomass et al, 2013). A tsunami causes maximum death and destruction India being prone to such hazards due to overpopulation needs to focus on experiences and lessons learnt from previous tsunami to minimize the extent of damage caused. The present chapter discusses ‘tsunami’ which occurred in 2004 along the Indian coastline with special emphasis on the livelihood of people affected and the management measures taken by the government to rehabilitate the victims. Further, management measures based on the present analysis for coping with such future disasters have been recommended.